Thought that I’d share some recent native wildflowers. It’s easy to overlook these late summer and early autumn bloomers. Natural selection apparently hasn’t often favored big, showy blooms in the dappled sunlight of the southern Appalachian cove. The ericaceous plants – azaleas, rhododendrons, laurels, etc. – really put on a spring and summer show. By August, though, the asters and the like have taken over. Only the nearly full-sun plants will have large blooms. 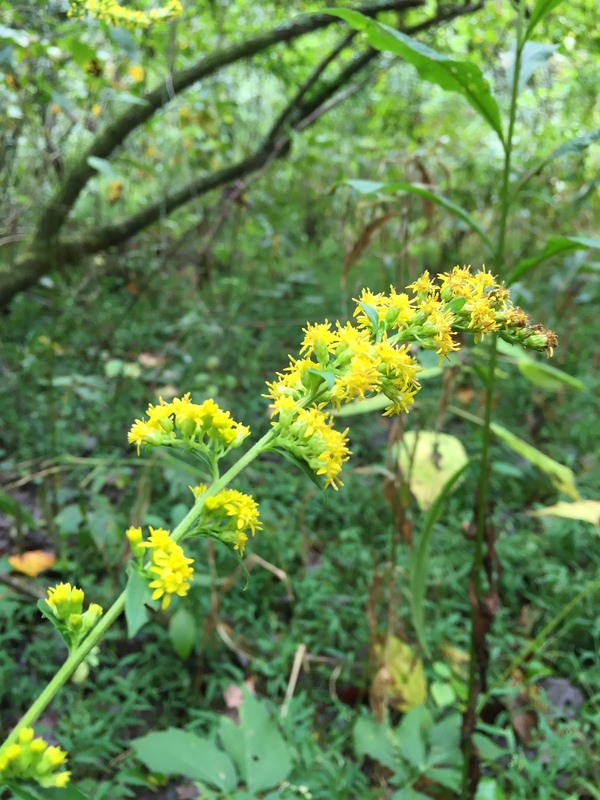 It’s hard to miss the Goldenrod (Solidago sp.) . Small blooms but tolerant of sun. 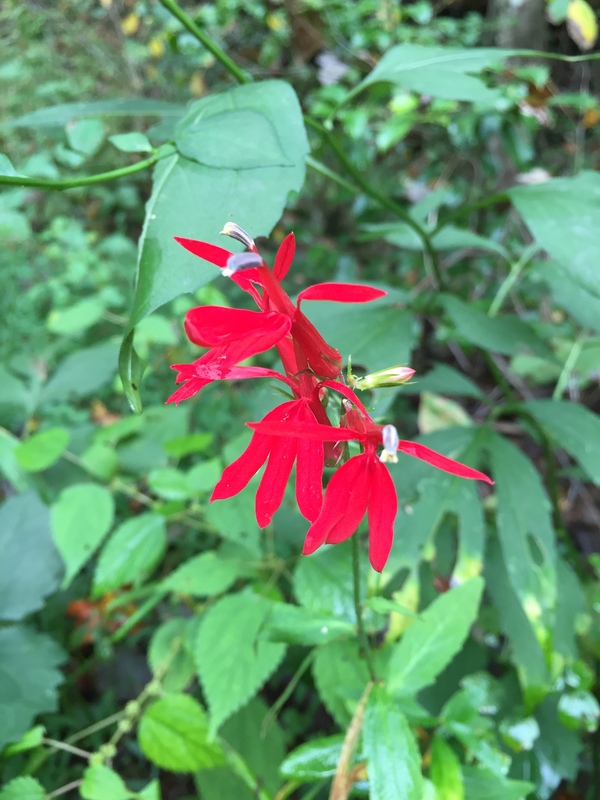 The Cardinal Flower ( Lobelia cardinalis) has about played out by now. 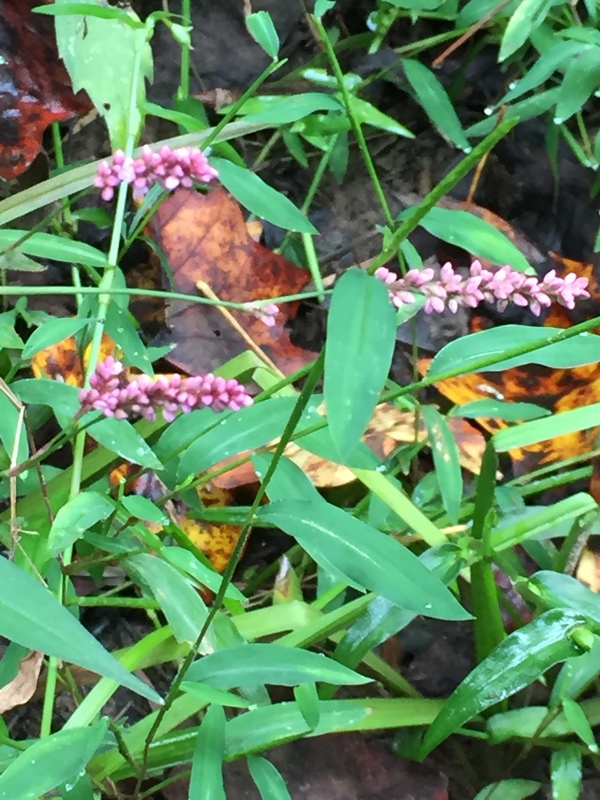 Pennsylvania smartweed (Polygonium pensylvanicum) is another of the “weedy” native plants. Easily overlooked in ditches and on roadbanks. Getting ready to pop is the Red Turtlehead (Chelone lyonii), which will look like a thoroughly “tropical” flower very soon. We only have one but we wish we had more! Stepping up to replace its Cardinal Flower cousin is another purple Lobelia species. Here’s one on a backdrop of ferns. One of the purple asters (Aster sp.). Leaning toward Late Purple Aster (Aster patens) or Smooth (Aster laevis). 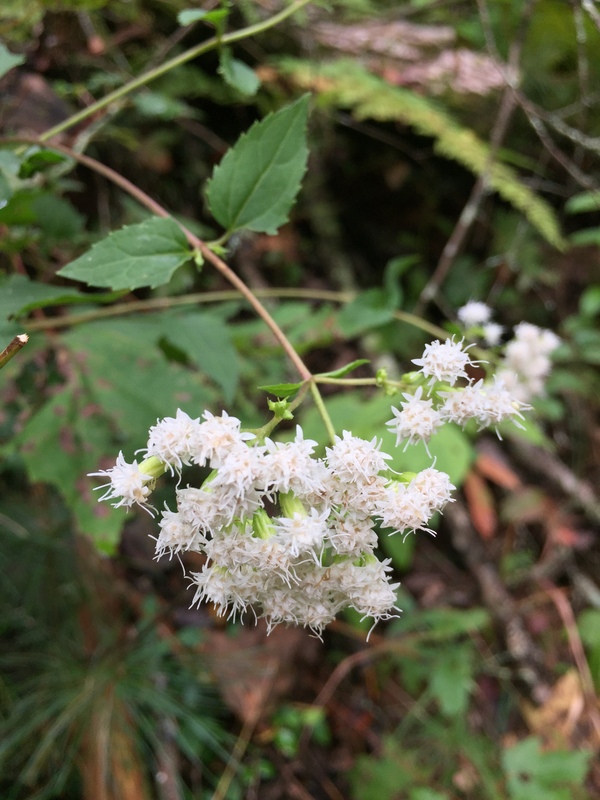 Pretty certain this is White Snakeroot (Ageratum altissima). I tried really hard to talk myself into thinking it was Boneset but Dawn talked me out of it. Phew…. One of my fall favorites – Grass-of-Parnassus (Parnassia asarifolia). The petals look as if they’re made from seersucker fabric. Parnassia asarifolia is referred to as “Kidney-Leaf Grass-of-Parnassus” because of its kidney-shaped leaf.